Looking for an original idea for your School Disco / End of Term /Graduation Party/ School Fete/School Incursion/School Fundraiser or School Holiday Program? 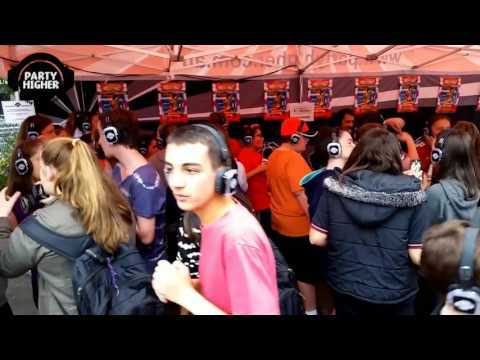 Silent Disco is very social and creates more interaction between students. Our Party Facilitator / DJ engages everyone with activities, creating great community spirit and transforms your venue into a visual spectacle with our lights, lasers and special effects. Combining Technology, Music, Dancing and Games is the perfect recipe for FUN. With School discos and fundraisers and older students we provide three channels of safe kid friendly music. Students can choose between three channels of different music. With no noise pollution you can choose to do an event inside a classroom or hall or outside courtyard without disturbing neighbours or other classrooms. We ensure that the volume levels on the Wireless Headphones are set at a safe level for kids and every headphone has adjustable volume control. With choice of adjusting your own volume on each headphone students with hearing impairments and on the spectrum will love being in control. If you need a break, just take off the headphones! There’s no more yelling into another person’s ear over the music to have a conversation. More importantly we can tailor a specific solution around your school committee’s wish list, so talk to us today and make your next school event an unforgettable experience. Call us toll free on 1300 734 726 so we can help you hassle free arrange the most memorable FUN event for your students or even staff. We can cater for most budgets so call us to discuss how we can make your event a success. This was so much fun and such a great money maker that we want to book you in for the next five years!